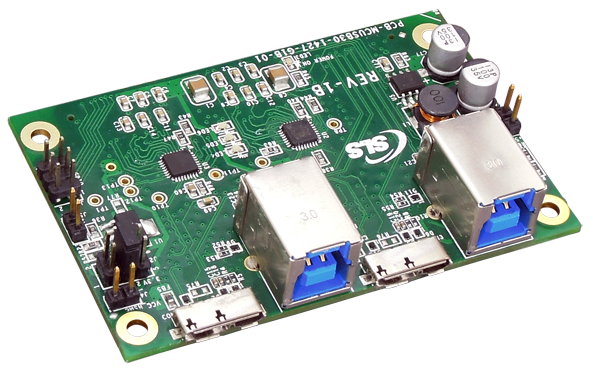 The eUSB 3.0 HSMC (High Speed Mezzanine Card) is designed to develop USB 3.0 based applications with development boards having 5.0 Gbps capable Altera transceivers lines on HSMC Connector using SLS eUSB3.0 Device Controller IP Core. The following example shows the eUSB 3.0 HSMC connection with Altera Cyclone V GT Development Board. Note:The board does not include any Reference design.